Durham County prosecutors will seek the death penalty for Craig Stephen Hicks if he is convicted of the fatal shooting of three young Muslim Americans in Chapel Hill last month. Durham District Attorney Roger Echols filed a notice of intent last week in Durham County Superior Court, saying he would pursue the charges at a preliminary hearing to be scheduled for the week of April 6th. Chapel Hill Police investigators believe Hicks, 46, fatally shot his two neighbors, 23-year-old Deah Barakat and 21-year-old Yusor Abu Salha, and Abu Salha’s sister, 19-year-old Razan, on February 10th. Family members of the victims said Hicks hated the victims because they were practicing Muslims and have called on authorities to investigate the shooting as a hate crime. While police investigators say they have not ruled out any possible motives, they said Hicks may have been disgruntled over the use of a parking space in their apartment complex. There have been no executions in North Carolina since 2006. Forty-six-year-old Craig Stephen Hicks has been charged with three counts of first-degree murder for the killings of Deah Barakat, a second-year student in the UNC School of Dentistry and his wife, Yusor, who had planned to begin her dental studies at UNC in the fall. Yusor's sister, Razan, a student at NC State University, was also killed. We will continue to update this story as information becomes available. Updated Monday, February 23, 10:15 a.m. Updated Thursday, February 19 10:30 a.m. Updated Thursday, February 19 7:00 a.m.
Much of the discussion about the motive behind the Chapel Hill shooting is whether it was a hate crime. Many in the Muslim community and on social media say it is, but police have not. Jorge Valencia filed this report today about the decision the police face, and the intricacies of a legal hate crime designation. 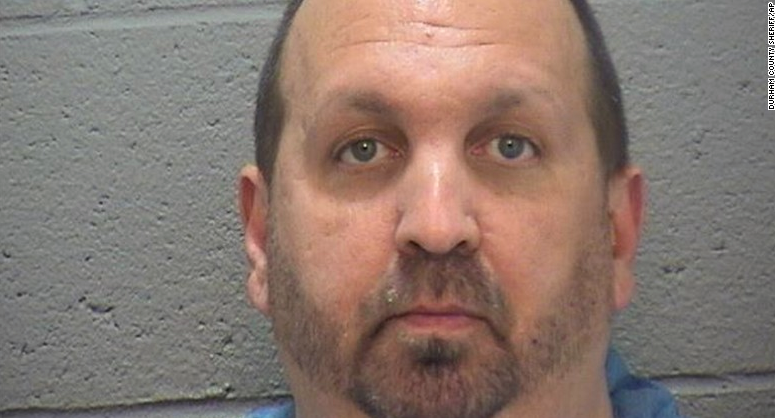 Updated Monday February 16 5:10 p.m.
A grand jury has indicted Craig Stephen Hicks in the murder of three young Muslims in Chapel Hill, reports Jorge Valencia. Hicks turned himself into authorities last week, just hours after the shooting of Deah Barakat, Yusor Abu Salha and Razan Abu Salha. Now a grand jury believes there's enough evidence to pursue a felony case against Hicks. He's charged with first-degree murder and discharging a firearm into a dwelling. Chapel Hill police are still investigating and say Hicks may have been motivated by a parking dispute. Family and advocates around the world say Hicks was acting out of a bias against Muslims. Updated Monday February 16 10:50 a.m.
Qatar students and community hold solidarity walk for Chapel Hill victims. The march was Sunday and began at the Hamad Bin Khalifa University. Update Friday February 13 3 p.m.
"Yesterday, the FBI opened an inquiry into the brutal and outrageous murders of Yusor Mohammad Abu-Salha, Deah Shaddy Barakat, and Razan Mohammad Abu-Salha in Chapel Hill, North Carolina. In addition to the ongoing investigation by local authorities, the FBI is taking steps to determine whether federal laws were violated. No one in the United States of America should ever be targeted because of who they are, what they look like, or how they worship. Michelle and I offer our condolences to the victims’ loved ones. As we saw with the overwhelming presence at the funeral of these young Americans, we are all one American family. Whenever anyone is taken from us before their time, we remember how they lived their lives – and the words of one of the victims should inspire the way we live ours." Thursday evening, the FBI announced it is looking into the murders. In a statement, the FBI said it has opened a "parallel preliminary inquiry". They're looking to determine if federal laws were violated. Agents will assist local police to process evidence from the triple-homicide. Update Thursday February 12 2:58 p.m.
Frank Stasio joined Dr. Omid Safi, director of Duke University's Islamic Studies Center to talk about the events on the nationally syndicated program, The Takeaway. Listen to the audio here. Update Thursday February 12 11:48 a.m. The Islamic Association of Raleigh will lead funeral prayers for the three shooting victims today. The funeral prayer will follow the midday prayer at 1:35. NC State University will host a vigil at the Brickyard tonight at 6. Update Thursday February 12 11:13 a.m.
Update Thursday February 12 10:49 a.m. Hundreds of people gathered at UNC Chapel Hill last night to remember the three Muslims killed in a nearby shooting, and to support their families. Farris Barakat is the older brother of victim Deah Barakat. He spoke of the three at the vigil last night. He asked the big crowd to live in their legacy. "That you share the good that you know of them, and take the message that my mom wanted to make public and 'do not fight fire with fire," Barakat said. >>WUNC's Jorge Valencia and Reema Khrais both attended the event. Here are their reports. Update Wednesday February 11 8:44 p.m.
Update Wednesday February 11 8:11 p.m.
"You can't see where the crowd ends" at the vigil to honor the three slain students, reports Jorge Valencia. Update Wednesday February 11 6:00 p.m. There is a vigil this evening at 6:30 p.m. at the UNC "Pit." Prior to the vigil, at 6 p.m., a prayer service will be held in the Great Hall of the Carolina Union. Parking will be available in the Bell Tower lot. Update Wednesday February 11 5:31 p.m.
Nada Salem was best friends with the two young women who died. The 21-year-old Muslim woman told reporter Reema Khrais that she strongly believes the crime was motivated by hate. Salem points to something that happened a few months ago. She had gone over to the couple's house for dinner. After she went home, her friend Yusor texted to say that their neighbor, Hicks, had come by, complaining that that young people had been "really loud and disrespectful." And then, Yusor texted, Hicks "pointed to his gun and his pocket and he said 'I don't want this to happen again.'" Salem had plans to attend UNC School of Dentistry with Yusor. She says not too long ago the couple gave her her first Carolina Dentistry sweater. The two women wanted to wear the sweaters to school at the same time. "So that we can be matching and we can tell everyone we got in together; and two days ago she texted me again with [the sweater] picture saying that she can't wait for us to start again…together at dental school," says Salem. "It's like a daze for me, personally, I just don't want to believe it." In the days since the triple homicide of Chapel Hill residents Deah Barakat, Yusor Abu-Salha and Razan Abu-Salha, two hashtags have surged through social media feeds: #chapelhillshooting and #muslimlivesmatter. Craig Stephen Hicks was indicted Monday on three counts of first-degree murder for the deaths of three young people in Chapel Hill. Deah Barakat, 23, his wife, Yusor Abu-Salha, 21, and her sister, Razan Abu-Salha, 19, were shot to death inside their condominium in the Finley Forest community. The parents of the deceased believe their children were targeted because of their faith. Chapel Hill police say the shooting was over an ongoing parking dispute, but local and federal law enforcement officials are still considering other motives like religious bias.